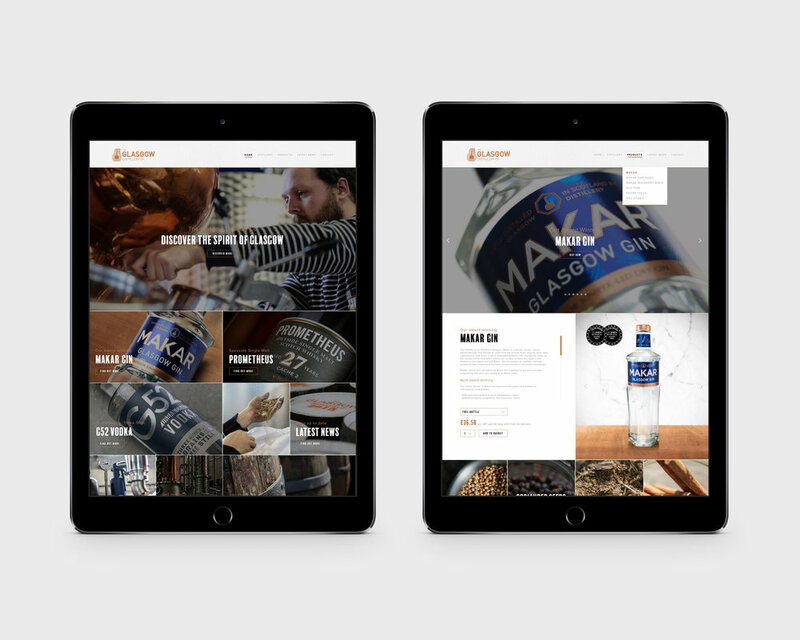 Founded in 2014, Glasgow Distillery Company are a unique metropolitan distillery right in the heart of Glasgow. Their impressive brand portfolio includes Makar Gin, G52 Vodka and the award winning Prometheus Single Malt Whisky. Their team approached ABC Creative at the end of 2016 looking for a new online platform to market their great product to the world. We were delighted to work with the team to design and build a fully-responsive E-Commerce website, where customers can shop for their favourite tipple online.